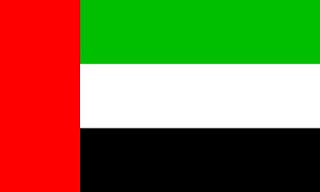 MANILA (Mindanao Examiner / Oct. 11, 2011) – A Filipina domestic helper and her baby are being held at a prison in the United Arab Emirates after authorities there convicted her of having an illicit affair with her own husband in Dubai. The woman and her two-month old baby are currently incarcerated in Dubai, and her Filipino husband fled back to the Philippines after she gave birth for fear that he would be jailed. The man was eventually tried in absentia by a court in Dubai and had been found guilty, according to the group called Migrante-Middle East. John Leonard Monterona, the group’s regional coordinator, said the woman was found guilty after she failed to show proof of her 2007 marriage. She is to serve one year in prison. Monterona urged the Philippine Consulate to help the Filipina, who worked as a domestic helper in Dubai, but ran away to live with her husband who followed her in Dubai. He said the woman contacted her family back home to send her their marriage certificate. “We will ask the jail authority to extend preferential treatment to her and her two-month old baby,” Monterona told the Mindanao Examiner. He said Migrante members in Dubai would visit the woman in jail to see her situation.